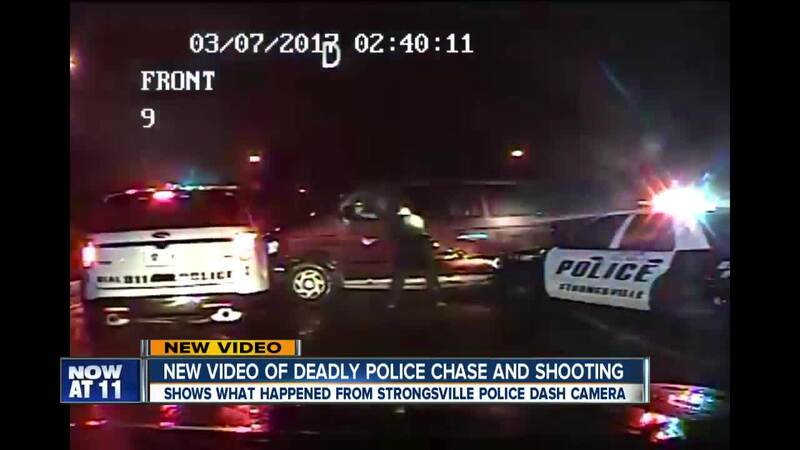 Expert says vehicle "used as weapon"
Newly-released dash cam video from Strongsville Police shows the moments when a driver being chased by police on March 7 was shot by officers. Roy Evans was shot on I-71 around 2:30 a.m. and later died. His girlfriend and her three children were also in the car at the time. The video released showed the moments when police were able to stop the maroon Ford van Evans was driving. Following a high-speed chase that lasted several minutes, two cruisers boxed him in before Evans put the van into reverse and then moved forward, hitting one police cruiser. It’s not clear if Evans was trying to escape or if he deliberately hit that car. The Bureau of Criminal Investigations tells News 5 that while a weapon was not found in the vehicle, they are still investigating "to determine whether or not the van itself was used as a weapon." Security consultant Dr. Ross Riggs tells News 5 that upon review of several angles of the video, the ramming suggests that it was used as a weapon. Riggs is a private investigator licensed with the Department of Homeland Security and a former police chief himself. "Even though it's at a slow speed, he’s purposely taken that vehicle and hit that cruiser right where that officer is sitting. To me, I think that's got to be the thing that they focus on." Riggs said officers also would have been focused on the children in the back seat. "All of that plays in the officer's mind that this guy is a continuing threat," he said. "They’ve got to stop it not only for their own safety but they’ve got to stop it for the safety of those children." One officer opens Evans’ driver side door. Just a couple seconds later another officer approaches and two shots can be heard. Previously, police said Evans would not comply with their orders and that he appeared to reach for something, but investigators never found a weapon in the car. 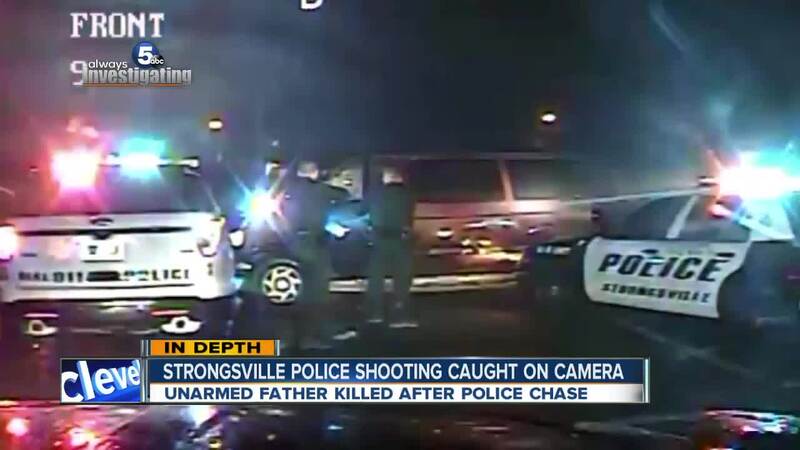 In the moments after the shooting, officers can be seen attempting to revive Evans. It’s a case that’s still under investigation by the Ohio Bureau of Criminal Investigation.